You’re searching for a bankruptcy lawyer in Cloverdale because you need immediate debt relief. 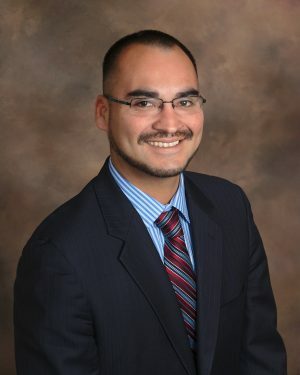 My name is Michael Benavides and I can help you eliminate debt and achieve a fresh start. To help you learn more about bankruptcy and whether you qualify for chapter 7 or chapter 13 debt relief I provide free, confidential phone consultations. To schedule your free consultation with our Santa Rosa office call (707) 200-6688. We offer low fees, much lower than many Northern California bankruptcy attorneys. Our office is able to provide low fees because we use technology to reduce overhead. For Cloverdale residents we conduct free phone consultations and use electronic contracts to expedite the process. Once you have hired our attorney on santarosabankruptcy.us to represent you in chapter 7 or chapter 13 bankruptcy you will complete a PDF workbook and upload relevant documents on our website. This organized process allows us to draft your petition, statements, and schedules in a timely and efficient manner. Chapter 7 bankruptcy is the most popular form of bankruptcy for consumer clients. The chapter 7 bankruptcy process can be completed in as little as 4 months and for less cost than chapter 13 bankruptcy. In chapter 7 clients can eliminate unsecured debt such as credit card debt, medical bills, payday loans, and personal loans. However, not everyone qualifies for chapter 7 bankruptcy. To qualify for chapter 7 bankruptcy an individual must have income lower than the California median for a household of the same size. If the individual’s income is higher than the median they must pass the means test. Chapter 13 bankruptcy is the repayment form of bankruptcy. In chapter 13 bankruptcy individuals are allowed to keep their property without fear of liquidation, but must commit their disposable income to repaying creditors over 3 to 5 years. Once the repayment plan has been completed the individual receives a discharge of their remaining dischargeable debts. Many individuals with high income, nonexempt assets, second mortgages, or tax debt choose chapter 13 bankruptcy. Those facing foreclosure or an impending Trustee’s sale also use chapter 13 bankruptcy to stop the foreclosure process and save their home. Bankruptcy can stop Creditors right away. When we file a bankruptcy petition with the United States Bankruptcy Court for the Northern District of California the automatic stay arises which legally prohibits Creditors from continuing collection activities. In essence, the federal automatic stay will stop collection calls, wage garnishment, foreclosure, and repossession. If you are facing a credit card lawsuit filing bankruptcy will stop the civil action while the debt gets discharged in bankruptcy.